Few days ago I’ve won THECON FIFA 16 Championship 4 stars teams after 2 weeks of playing, with some amazing matches. 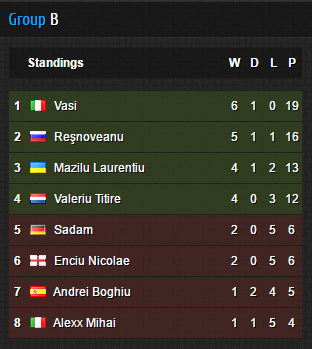 I was in Group B with Mazilu Laurentiu, Reşnoveanu, Valeriu Titire, Andrei Aschiopoaiei, Enciu Nicolae, Andrei Boghiu and Vistian Alex. I’ve managed to win this group with a total of 6 wins and 1 draw. In quarter-finals I had to play against Munteanu Bogdan and it wasn’t easy at all, after a tough 3-2 home win, I won the second game too and I’ve advanced in the semi-final. 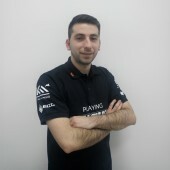 In the semifinal I’ve played against George Huidumac and I was able to get the win in both games and I’ve advanced in the Grand Final successfully. 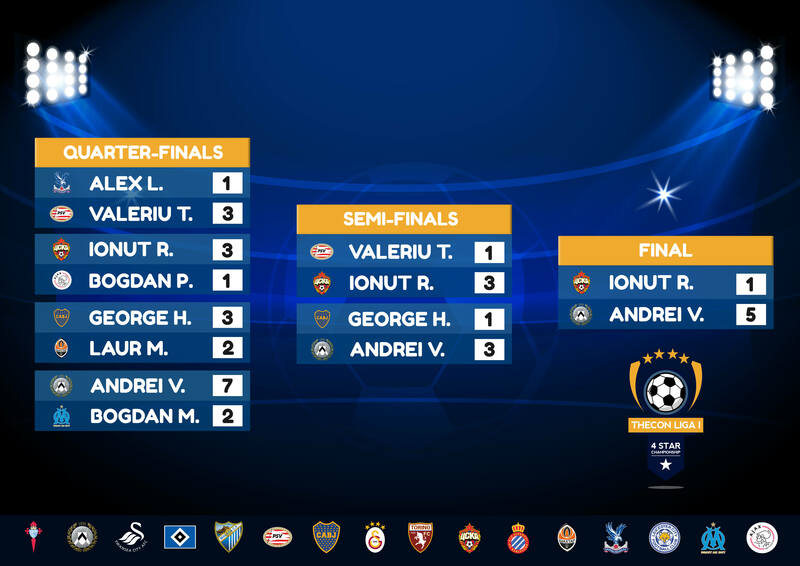 The Grand Final was against Reşnoveanu, the hardest match from the event for sure, he managed to get some huge results until the final so I was expected to a tough match. I had a chance in the first 10 minutes of the match and I scored the first goal. I think this goal scored early makes the difference and I won the game in the end with 5-1 overall. Stay tuned for more details in the next articles!